THEY WILL SOON BE GOING UPAmbulance station and American ambulance company. At the right center, keen eyes may detect an ambulance, well-camouflaged. 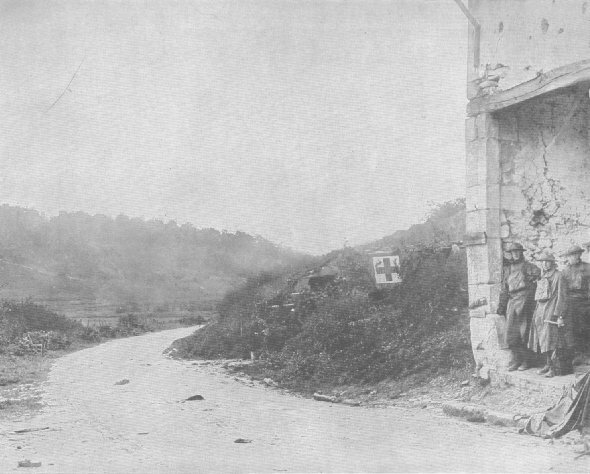 This camouflage was found necessary as at times, even the Red Cross didn't escape artillery fire. This station was located well back of the defense lines.